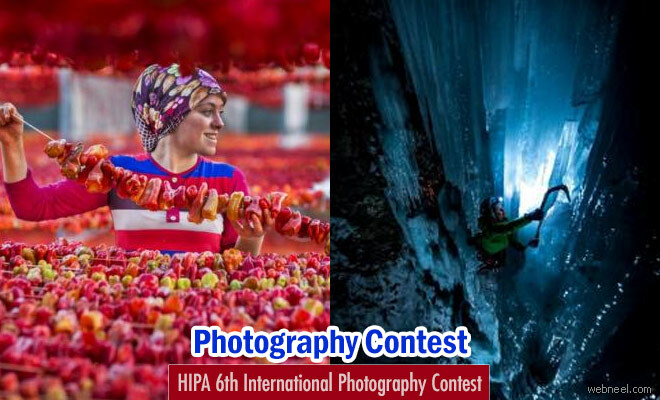 HIPA is conducting an international contest and the theme for the year 2016-2017 is called as "The Challenge". This classification is purely intended to incite photographers creativity and life impressions in quest for the visuals that offer expression to the importance of test as they comprehend it from their own experience, and the distinction through which they treat it through a camera lens. Submissions will be accepted from 00:01 on 1 May 2016 until 24:00 on 31st October 2016, UAE local time, (i.e. GMT +4). No Submissions made after the closing time will be accepted. Participants must be individuals aged eighteen (18) years and over at the time of their Submission. 1) You may submit up to one (1) Photo in each category of the Competition including the sub categories under the General category. Except the Portfolio category where you can submit 5 – 10 photographs. You must provide a title and description for each Photo including the Portfolio category. 2)The same Photo must not be submitted in more than One (1) category. Any Photo submitted in more than one (1) category will be, subject to HIPA discretion, and without further notice, discarded from either a category or the entire Competition. 3)Submitted Photo must be in JPEG format, with high quality and resolution, of a minimum 5 MB in size, the minimum of the longest edge should be no less than 2000 pixel and the quality no less than 300dpi to be suitable for publication. 4)You are kindly requested to upload the original photograph (RAW) or the photograph without any editing on the time of submitting the photograph to the contest. Exclusively for the Digital Manipulation category, it is permitted to upload up to 10 original or RAW file. 5)Black and white Photos are permitted in all the categories of the Competition except the Color sub category under the General category. 6)For the Portfolio category, you are requested to submit a series of photographs for the same subject. The number of permitted photographs is minimum 5 and maximum 10 photographs. All submitted Photos must not contain any tag(s), signature(s), initial(s), frame, border(s), logo(s) or any other references and/or marks added by the Participant. Basic technical editing of the Photo(s) is acceptable, provided any such editing does not affect the authenticity and/or genuineness of the Photo(s). Advanced editing used to create illusions, deceptions and/or manipulations, including compositing and creative retouching of the Photo(s) is prohibited except for the Digital Manipulation category. HIPA preserves the right to assess and discard from the Competition any submitted Photo(s) deemed, at HIPA's own discretion, contrary to the foregoing. Photo(s) that have won any previous award(s), whether in any HIPA prior competition(s), or in any other competition(s) whatsoever and announced before 31st October 2016 , and/or Photos that have been previously used, or are intended to be used, for any kind of commercial purposes, must not be submitted. Any Photo(s) submitted in contrary to the foregoing will be automatically and without further notice discarded from the entire Competition. HIPA's appointed judging panel shall assess and determine the winning Photos. The results, prizes and the winners will be announced in a public ceremony that will be held on March 2017.